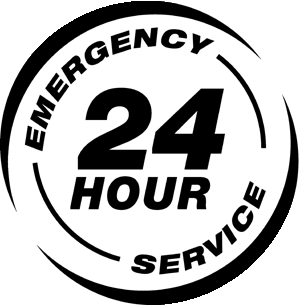 24- hour Portable Welding Service: Vest Fabrications is on call 24 hours, 7 days a week. With six fully equipped mobile welding service trucks, we can be at your beck and call with just a dial! Shop Fabrication: Vest Fabrication strives to be the best custom fabrication shop in the game. We take great pride in our ability to custom design, build, and professionally install for major businesses and individual walk-ins. Portable Aluminum & Stainless: Vest Fabrication offers a full line of aluminum and stainless steel welding. Specializing in Storage, Shipping and Finish Goods Racks and Carts for manufacturers in and involved in the Automotive Industry. Also production in safety equipment, including safety gates and fences made for lock out/tag out procedures. Vest Fab works alongside manufacturers to design and fabricate products to fit and improve safety standards when an accident occurs. Specializing in paddock gates, entrance gates, barn doors, stall doors and yokes for some of the most profound equine farms in the world. Vest Fab works together with the equine farm to design a style of their very own to help make the farm an individual. Specializing in large scaled construction projects including structural steel, mezzanines, platforms, metal staircases and railing. Vest Fab has extensive experience in the design and fabrication of custom hand and guard railing for customers with rental property to personal property. Specializing in welding repair and fabrication on new and used farm equipment such as tractor attachments, dump wagons and even custom fabricating aluminum and steel truck beds.